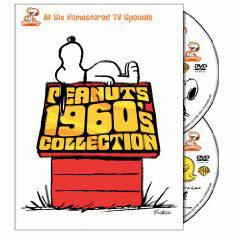 The DVD set, which was released on July 7, of “Peanuts 1960s Collection” was a great treat in a few ways. This set of the six Peanuts specials from the ‘60s gave me a chance to revisit the wonderful specials “A Charlie Brown Christmas” and “It’s the Great Pumpkin, Charlie Brown,” which I watched every year for many years but have not seen for at least 20 years. This set of Peanuts specials was also the second time in a few weeks in which a tin of Tasty Kake products arrived unexpectedly on my doorstep at the same time as a DVD that screams out to be watched while enjoying these sweet Hostess-like treats. Finding the Tasty Kake products on the second day of a torrential downpour nearly prompted a Snoopy dance of joy; I confess that my dancing style is more like the hunched shoulders shuffling methods of the Peanuts gang. The timing of my unknown Tasty Kakes benefactor, who may be a friend who reads these entries and remembered my birthday, was perfect. Old-timers like me will recall that Dolly Madison snack cakes used to sponsor the Peanuts specials; I have never seen these products in New England grocery stores and was surprised that a web search showed that the company still operates. The four other specials on this two-disc set are “Charlie Brown’s All-Stars,” “You’re in Love, Charlie Brown,” “He’s Your Dog, Charlie Brown,” and “It Was a Short Summer, Charlie Brown.” This is the first time that the final two have been released on DVD. The holiday specials were by far my favorite, and I think that many people can relate to the same holiday depression that prompted Charlie Brown to say that society did not have to create a holiday to remind him that people did not like him. 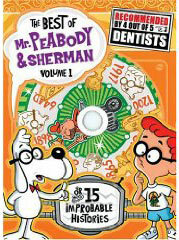 This special also had Snoopy’s wonderful animal impersonations and Charlie Brown’s unforgettable Christmas tree. I will be pulling this one off the shelf next December. 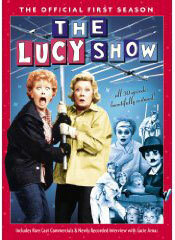 “Pumpkin” might have the best line in the set in which the crabby Lucy dressed as a witch and commented that Halloween costumes should reflect the opposite personality of a person. This also had the great recurring joke in which the other trick-or-treaters get candy and money and Charlie Brown gets a rock. 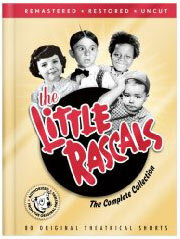 Each of the other specials were entertaining and reminded us of our own crushes on the little red-haired boy or girl. We can relate as well to Linus reminding the warbly-voiced teacher in “Summer” that she had not issued the class an assignment. However, “Dog” was the best special of the non-holiday ones. It had Charlie Brown sending Snoopy to the Daisy Hill Puppy Farm for obedience training after he terrorized the Peanuts gang. In the end, Snoopy and the kids came to appreciate each other better. I will remember this the next time that my cats grab my ipod and hide it well. The special feature on the set that profiles Vince Guaraldi, who composed soundtracks for the specials, will be a treat for my fellow fans of the specials will also remember these nifty jazz compositions. The main piano theme from the Christmas special has been lodged in my head for two days, and I will download it if I can find where the cats put my ipod. watch TV shows online directly at Clicker.com.